Street Names: K, K-Hole, Special K, Vitamin K, Purple, Psychodelic Heroin, Kit Kat, Jet, Bump, Black Hole. 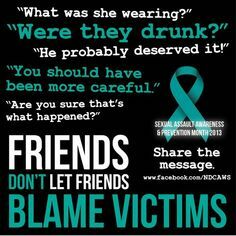 Don’t leave your drink unattended while talking, dancing, using the ladie’s room, or making a phone call. At parties, don’t drink from punch bowls or other large, common open containers. If someone offers to get you a drink from the bar at the club or party, go with them to the bar to order it, watch it being poured, and carry it yourself. Watch out for your friends, and vice versa. Always leave the party or bar together. If a friend seems out of it, is way too drunk for the amount of liquor she’s had, or is acting out of character, get her to a safety place immediately. If you think you or a friend has been drugged, call 911, and be explicit with doctors so they’ll give you the right tests (you’ll need a urine test and possibly others). The National Sexual Assault Hotline (800-656-HOPE) can often send an advocate to the hospital to help you through the whole process. 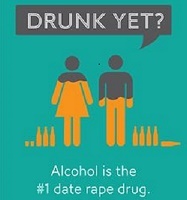 Information for this section was adapted from www.911rape.org and materials provided by the Texas Association Against Sexual Assault.